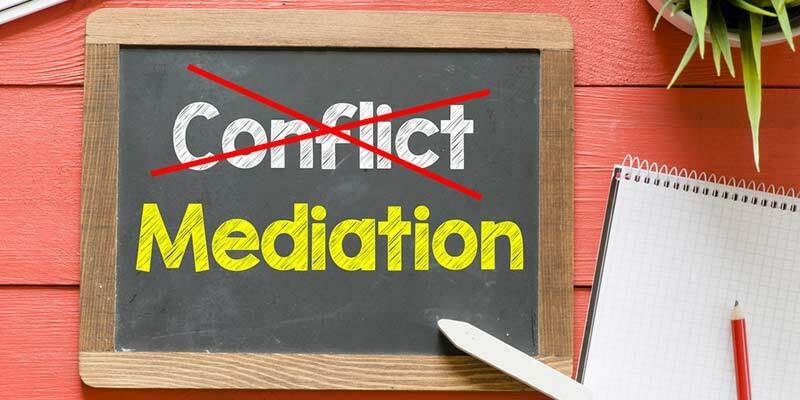 Our mediation services help you to find a lasting solution to a dispute – and for far less than you would outlay if you took your dispute to court. This is a question we quite often get asked, as this is mostly a new and foreign experience for people. Mediation is a process of dispute resolution where a qualified, impartial third party assists people who are in a dispute to discuss their concerns and find a resolution. We, as the mediator, will assist the parties to talk through the issues in a constructive way with a view to resolve the dispute. The goal? To reach an agreement that works for both parties and that each party can uphold into the future. The dispute resolution process of mediation is quite flexible, and no two cases are exactly the same. However, as an indication of what what generally happens in mediation, read on! Step 1 – Identifying the need for mediation. This is the part where you approach us! We meet with each of the parties to dive deeper into the dispute and identify what outcomes each party is seeking. The mediation meeting is where the two parties meet to discuss the issues and seek a resolution. Generally speaking, there are a few phases to a successful mediation meeting. Phase 2: Allow each person their opportunity to speak and discuss their issues. Phase 3: Clarify the priority issues for discussion to create an agenda. Phase 4: Explore each of these issues in turn. Phase 5: Identify options for agreement and discuss these. Phase 6: Discuss and decide on outcomes. After the joint mediation meeting, an agreement should be reached. There is a high rate of resolution at this stage of mediation, as the next steps are to go to court. If an agreement is reached, each party signs a document and receives a certificate to signify that the dispute has been resolved. And it’s as easy as that! Here at Blue Horizon Counselling and Mediation, it is our goal to make things as easy and satisfying as reasonably possible. If you want mediation made easy, we’re your team! Why should I engage a mediator? Please call us on 0403 866 997 to discuss your mediation needs today.